1st Global Capital LLC and its former chief executive officer Carl Ruderman allegedly defrauded at least 3,400 retail investors through the fraudulent sales of promissory notes, according to a newly-filed complaint by a Securities and Exchange Commission under review by investor rights attorney Alan Rosca. 1st Global Capital and Ruderman allegedly raised more than $287 million since 2014 in unregistered securities sold through a network that included active and barred investment professionals, according to the aforementioned SEC complaint. Of those investors, over a third invested their retirement funds, the SEC states. 1st Global allegedly marketed itself as a simple way to access cash quickly by business borrowers, often made big unsecured loans, and had significant cash flow problems, the SEC alleged. 1st Global declared bankruptcy in July and Ruderman resigned from the company. 1st Global and Ruderman have been charged with violations of the antifraud, securities registration, and broker-dealer registration provisions of the federal securities laws. The SEC seeks disgorgement of allegedly ill-gotten gains and prejudgment interest from the defendants and relief defendants, and financial penalties against the defendants. However, given the allegations of mismanagement and misuse of investor money, it is doubtful that the investors will be able to recover substantially all their investment through the bankruptcy proceedings. Securities lawyer Alan Rosca of the Goldman Scarlato & Penny PC law firm is investigating sales practices related to 1st Global Capital’s alleged investment fraud. 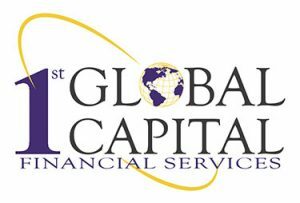 1st Global Capital investors are encouraged to contact attorney Alan Rosca with any useful information or for a free, no-obligation discussion about their options. Even though investors were allegedly promised profits from 1st Global’s loans to small and mid-sized companies, a big percentage of their money reportedly went to Ruderman’s luxurious personal spending and to his consumer-loan companies, Bright Smile Financing and Ganador Enterprises, which were not related to 1st Global’s cash advance business, according to the SEC’s complaint. Unsuspecting investors in 1st Global were allegedly given phony account statements and were falsely told that it had an independent auditor and that its secured loans, usually for small amounts, had low default rates, the SEC Complaint alleges. The misconduct that we’ve alleged occurred in this case directly impacted retail investors. We filed this action on an emergency basis to protect those investors from further harm. We allege that 1 Global’s business model was a sham because instead of using investor funds as promised, 1 Global and Ruderman diverted significant funds, including to Ruderman himself for his personal benefit. The SEC’s investigation effectively stopped 1 Global’s offering and prevented further harm to investors and retirement funds. The Goldman Scarlato & Penny PC law firm represents investors who lose money as a result of investment-related fraud or misconduct and is currently investigating 1st Global Capital LLC and its former chief executive officer’s alleged investment fraud scam. The firm takes most cases of this type on a contingency fee basis and advance the case costs, and only gets paid for their fees and costs out of money recovered for clients. Attorney Alan Rosca, a securities lawyer and adjunct professor of securities regulation, and has represented thousands of victimized investors across the country and around the world in cases ranging from arbitrations to class actions. Investors who believe they lost money as a result of 1st Global Capital LLC and Carl Ruderman’s alleged investment fraud scam may contact attorney Alan Rosca for a free no-obligation evaluation of their recovery options, at 888-998-0530, via email at rosca@lawgsp.com, or through the contact form on this webpage.